Tupolev Tu-22 M3 strategic bombers in Syria. Six Russian Tupolev Tu-22M3 long-range bombers have delivered a massive strike against the facilities of the Islamic State terrorist organization in areas near the Syrian city of Palmyra, Russia’s Defense Ministry reported on Aug. 8. "On August 8, 2016, six long-range Tu-22M3 bombers, which took off from Russian territory, delivered a concentrated strike with high-explosive munitions against the facilities of the Islamic State terrorist organization in the areas east and northwest of Palmyra, near the communities of Es-Suhne and Arak," the Defense Ministry said in a statement. As a result of the strike, the Russian bombers destroyed a command and control post and a large militants’ field camp near the town of Es-Suhne. The Russian strategic bombers also destroyed terrorists’ command and control posts, an underground ammunition and armaments depot, three infantry fighting vehicles, 12 cross country vehicles with large-caliber machineguns and also "a large number of the enemy’s manpower" in the area of Palmyra and Arak," the ministry said. "After successfully accomplishing their combat mission, all the Russian aircraft returned to their home aerodrome," the ministry’s press office said. 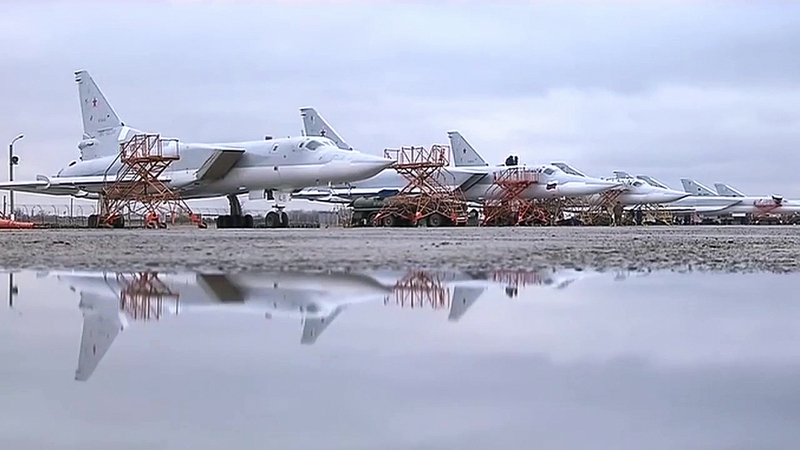 Last month, Russia’s Tu-22M3 bombers were used three times in Syria - on July 12, 14 and 21. They also delivered strikes in areas east of Palmyra and near the towns of Es-Suhne and Arak.